In the near distance, Ise Grand Shrine, enshrining Amaterasu Omikami (the deity of the sun and legendary founder of Japan), is situated. The grand shrine plays a central role in Shito (the Japanese indigenous religion) which has countless shrines in the country. In 2014, the number of visitors to the Grand Shrine, both domestic and overseas, exceeded as many as 10 million people. It means about one out of thirteen people in the Japanese population made their visits. The streetscape of the Image 3 named “Okage Yokocho” is restored to the original state of the shrine town in the Edo period. Available are various traditional crafts unique to the Ise region. 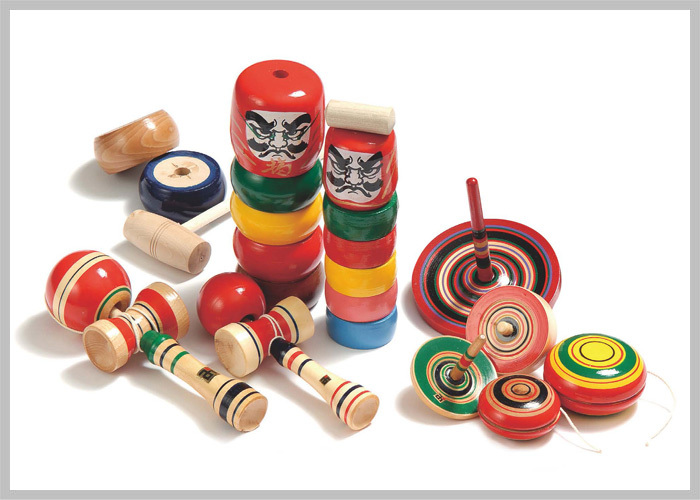 The technical tradition such as lacquer crafts, Japanese paper (washi) and traditional Japanese toys has been handed down. A prominent traditional craft to remember is “netsuke” which is little larger than a computer key. The motifs are anything and everything like deities, animals and foods. What is Netsuke Going to be used for? The upper right is netsuke and the other is a small case named “inro”. 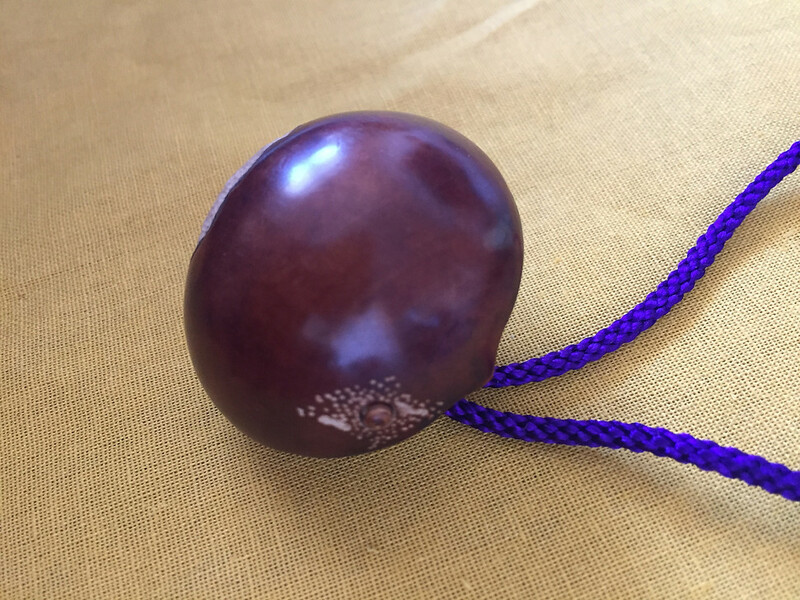 A netsuke is used to hang on the kimono sash. Copyright © 根付職人 明日香 .All rights reserved. Netsuke used to be one of the indispensable daily necessaries for Japanese people. Kimono has no pocket. People carried a small case named “inro” which is left-hand in the Image 4. 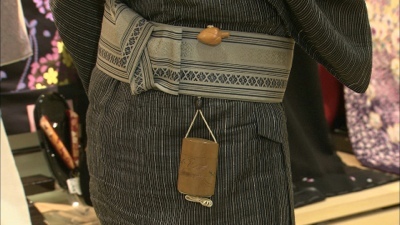 The case and netsuke are tied with a string so that the case can keep from falling by hitching netsuke (the upper right of the Image 4) on a kimono sash like the Image 5. It is netsuke that combines playful mind with practicality, which is the representative example of Japanese refined taste. See the Image 1. 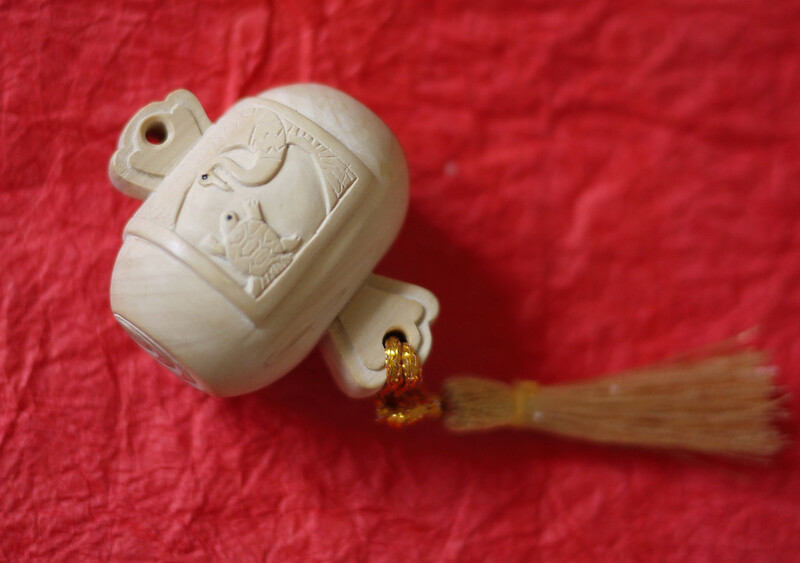 The netsuke now has an antique value and the motif is a temple on the mountainside which is carved inside stained ivory. See the Image 2. This is a trick netsuke whose motif is a lucky mallet from which a legendary fisherman “Urashima Taro” comes out. Netsuke were ordinary necessaries and exquisite craftworks. People could subtly but sophisticatedly express their individuality through their motif and design. Under the influence of modern trends especially from the end of the 19th century, these handiworks have seemingly been things of the past as Western clothes replace Japanese kimono. However, netsuke are not just antiques. Today new works are elaborated by craftspeople one after another. Here, I would like to introduce a craftsperson who shines with creating netsuke. She is the most beautiful woman ever to appear on this website. She is Ms. Asuka Kajiura, a netsuke craftsperson. The motif derives from a Japanese folk tale, “The battle of the Monkey and the Crab”. The motif is a bamboo sprout. Q: Japanese people forget old-time daily necessaries, netsuke. Why are they appreciated as works of art in other countries? Asuka: During the Edo period (1603 – 1868), netsuke, nifty necessaries instead of pockets, attracted people in any class from Daimyo (Japanese feudal lords) to successful businessmen and common people. During the Meiji era (1868 – 1912), people overseas recognized the artistic value, relished the beauty and purchased netsuke. In addition, the Japanese government promoted the export of netsuke to obtain foreign currency. As a result, over 90 per cent of netsuke in Japan flowed out to other states and netsuke are rarely seen within the country. Q: Does that mean the number of international orders is larger than that of domestic ones? Asuka: That depends. The items of netsuke, elaborated by tradition successors under training like me, are often purchased by Japanese netsuke lovers in hopes to foster craftspeople. Mainstream netsuke professionals, for example my master, accept many international orders just as you thought. Q: Which is the most popular motif among various themes? Asuka: As far as Ise netsuke is concerned, auspicious motifs have preference because netsuke produced in the region has been popular as a souvenir of the Ise pilgrimage. Trick netsuke special to woodcarving enjoys high popularity. I make a work of netsuke to order according to customers’ request and the each design is diverse. The motif is a sweet chestnut. Wormholes are carved by design to generate a sense of reality. Q: Do customers actually use your works? Asuka: Many customers actually put my works into use. Compared with works made by my master, the prices of my netsuke are not so high and I sell them saying that actual use increases its value. In Japan, even today, not a few people would like to stylishly participate in festivals with a netsuke attached to a kimono. You can see many people wear netsuke at Sanja-Matsuri or Festival in Asakusa, Tokyo. 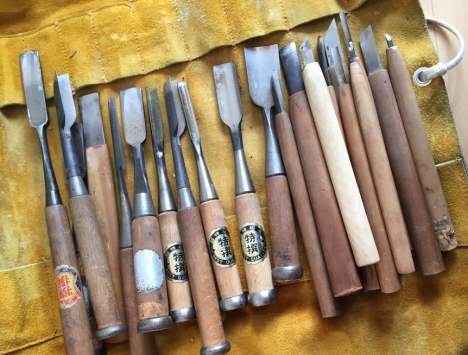 Q: How long does it take to become a full-fledged netsuke craftspeople? It is said that it takes ten years. Each work of netsuke, made by craftspeople during training, can be sold by the permission of my master. Q: Please tell me your resolution in the future? Asuka: I would like to be a craftsperson to make netsuke which can make their owners happy by just looking at. At the same time, I will send messages that traditional crafts other than netsuke also appeal to you and splendor consists in our craftsmanship. And I hope to play an active role in the conservation of traditional technique as much as possible and take steps on successor shortages. Thank you very much for today’s interview! The motif is a lucky mallet. Sorry, it has been already sold. Reading this article might make you be eager to obtain netsuke. However, you may think you do not have kimono and netsuke is needless for you. It is a wrong idea. Netsuke can be used as a bag accessary or a cell-phone charm, of course. Well, your next interest is their prices. Above mentioned, netsuke works are unhurriedly and carefully elaborated by craftspeople over time one by one. It means prices are inevitably high. Besides, the materials are Japanese box tree or now hard-to-get ivory. Because of the craftsmanship and expensive material of this kind, at least $100 is necessary to purchase a new work. The price of a lucky mallet (the Image 12) elaborated by Asuka is Approx. $2,000. Unfortunately, for those who are enchanted, it has been already sold. Don’t be surprised at the price! It is because the most expensive netsuke was sold in the Sotheby’s auction at the price of 154,000 British Pounds. As netsuke was used in a daily life, distinctive antique-rust tone has been created. The more netsuke has been used, the more expensive they are. If you purchase a new work which will be used down to posterity, the price will be no doubt appreciated strongly. How about giving it a try? Copyright (c) 伊勢伝統工芸保存協会. All Rights Reserved. 2016 sees the 42nd G7 Summit held in this region, Ise-Shima. Ise has already been familiar to Japanese people and the international conference must make Ise even more famous. 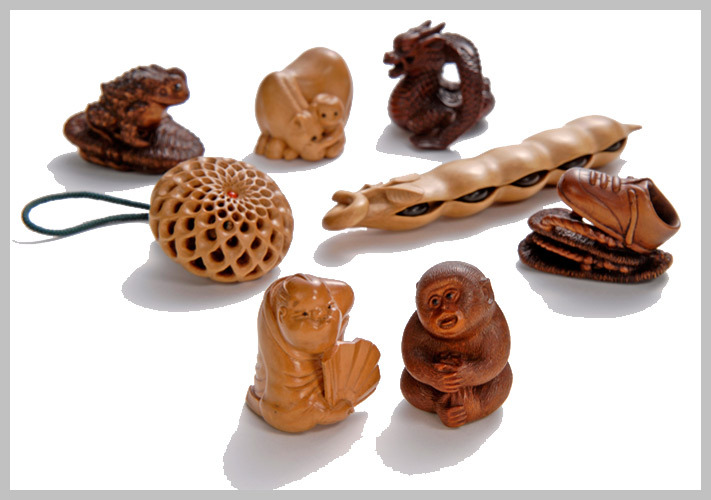 There are various production areas of netsuke in Japan. Netsuke produced in Tokyo or Kyoto is also popular and their styles and materials vary from region to region. Nevertheless, the reason why I would like to introduce Ise Netsuke is that many kinds of traditional crafts including netsuke have been handed down in the area which deserves the name of the craftwork capital. 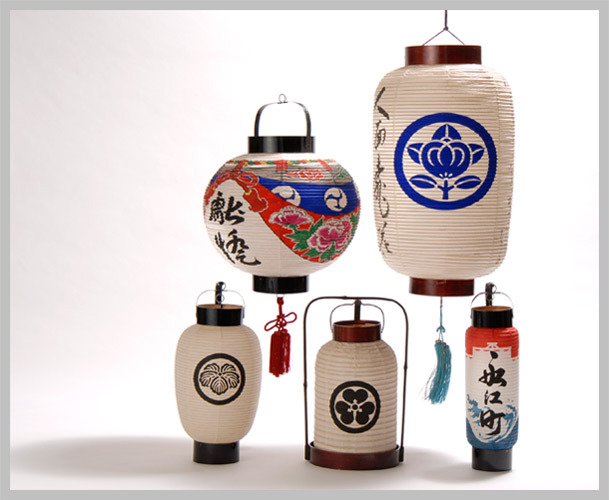 Traditional wooden toys and Japanese-style lanterns are just parts of the examples. You can discover your favorite genre such as Japan paper, one-knife carving and lacquer ware that surely enrich your life. Why not try Japanese healing bath time? Previous PostThe Kōji, Essence of flavor.Next PostLet’s Go to Hakodate in Hokkaido by Newly Opened Shinkansen!